Jack is the Architecture Department Manager at Guernsey. Established in 1928 as a civil engineering firm, Guernsey has grown into a diverse, multi-discipline firm with more than 135 professionals offering Architectural, Engineering, and Consulting services to public and private sector clients throughout the United States and abroad. For 90 years, Guernsey has been passionate about providing innovative solutions to connect clients to positive outcomes. Jack earned his BArch from Oklahoma State University’s School of Architecture in 1992. In 1995, he obtained his Architect license in Oklahoma and in 2002, added LEED-AP credentials. Jack served for many years on the Board of Directors of his local chapter, AIA Central Oklahoma Chapter (AIACOC) and was the Chapter President in 2014. He is currently serving on the state chapter’s Board of Directors, AIA Oklahoma (AIAOK) as the Treasurer. In 2015, Jack received the B.H. Prasad Honorary Award from the AIACOC, which recognizes his contributions to the betterment of the architectural profession, the community and the built environment. In addition to serving as the CSR Regional Representative to the Strategic Council, Jack has been a member of the Board Public Outreach Committee since 2016 and serves as the 2017-18 Strategic Council liaison to the Young Architects Forum. Jack was also a member of the AIA’s Culture Collective. 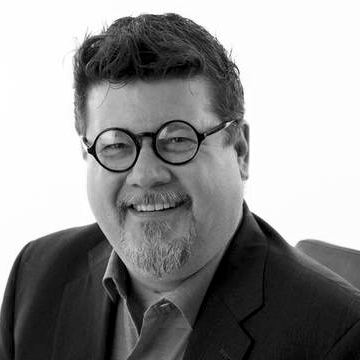 As a Citizen Architect, Jack was an inaugural public member on the Oklahoma State Medical Licensure Board – Advisory Committee on Orthotics and Prosthetics (1999-2006). In 2015, Jack joined the Court Appointed Special Advocate (CASA) of Oklahoma County Board of Directors.